If you are a golfer, you know how important it is to know as much as you can about the course that you are playing and each hole that you are playing on, so that you can plan the best shot possible. The distance that you have to the hole determines what club to use and how much power you need to put into your swing to get the ball exactly where you need it. In case you really want to tighten up your golf game and take a few strokes off of your score, using a quality range finder might be just the tool for you. Today we are going to be taking a look is the Breaking 80 Rangefinder review, to give you a breakdown of some of its key features and benefits of using it out on the course. One of the first features that we noticed with this rangefinder is that it has a 6x magnification eyepiece. Having 6x magnification allows you to get a detailed view of the course at exactly where you want to hit the ball. This is super valuable in assessing the break of where you want to place the ball, how fast or slow the surface is going to be, and if you are going to have any bounce or give on your landing. If you are going to be keeping your rangefinder in your golf bag, you are going to want to make sure that you have a durable rangefinder that can withstand getting knocked around in your bag. Some rangefinders can be really sensitive to impact, and may get break or get a cracked lens if it get tossed or jostled around in your golf bag. This rangefinder has improved lens protection, so that you don’t have to worry about breaking your lens or scratching it. With any rangefinder, you want to make sure that you have a reliable one that can analyze the distance of just about any pin. The Breaking 80 Rangefinder has an effective distance of up to 800 yards, so that you can analyze the distance to just about any hole, which includes the longest of par 5’s. 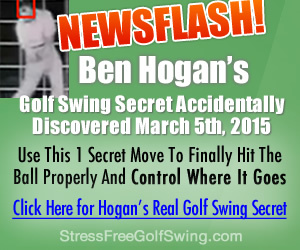 You will never have trouble analyzing the lie you have from your next shot ever again. It is going to be difficult to find any rangefinder that can analyze up to ½ a mile at this reasonable of a price. They have definitely made some serious improvements to the most recent model of the Breaking 80, when compared to other similar models they have released in the past. They have updated their pin sensor software so that you can always find the pin with your targeting mechanism. Some rangefinders can be really finicky, requiring you to take multiple reads before you finally lock in the pin. You shouldn’t have that problem at all with this rangefinder. Just in case anything bad would happen to your rangefinder, or if on the off chance you would get a flawed model or one that was damaged in the shipping process, Breaking 80 has you covered. It comes with a one year warranty, so if anything happens to your rangefinder within the first year you can get it fixed or replaced for free. They have a lifetime replacement plan that allows you to exchange your rangefinder at anytime, for a fee, should it break or get damaged outside of the one year warranty. They offer a 60 day money back guarantee so that if you aren’t totally happy with the rangefinder, you can send if back for a full refund. The 6x magnification eyepiece is awesome for being able to accurately analyze your next shot on the range of any course. The improved lens adds plenty of durability to your rangefinder so that you don’t have to worry about it getting scratched or broken. The fact that this rangefinder offers an effective range of up to 800 yards makes it one of the best in its class, and one of the most affordable in its price range. The updated software on this rangefinder makes it really easy to find the pin as quickly as possible, without having to scan multiple times. Should anything damaging or disfiguring happen to your rangefinder, the warranty on this product and the lifetime guarantee will have you covered. The eyepiece can get loosened fairly easily, so you need to monitor it to make sure that it stays tight. If you are standing directly up wind or directly down wind, the rangefinder can have a bit of trouble identifying the flag. Does not have an autofocus feature. You are getting a lot for a really low price. ​Great assurance with the warranty and lifetime guarantee. Q:Can it pick up on bunkers, water hazards and trees? A: Yes, this rangefinder can identify all of those things, down to tree limbs. Q:Does this model use rechargeable batteries? A: No, you are going to have to buy a set of batteries to operate this model. Overall, this is an incredible rangefinder, and for the price this is hard to beat. Whether you are a golfing novice or have been golfing for 20+ years, this rangefinder will without a doubt, help you dial in your game. We would easily give the Breaking 80 Rangefinder a 4 out of 5 stars.